Today I decided to present the cookies recipe to you. I ate these cookies for the first time last year when my mom was visiting us and she made them. Thank you mom for this recipe. 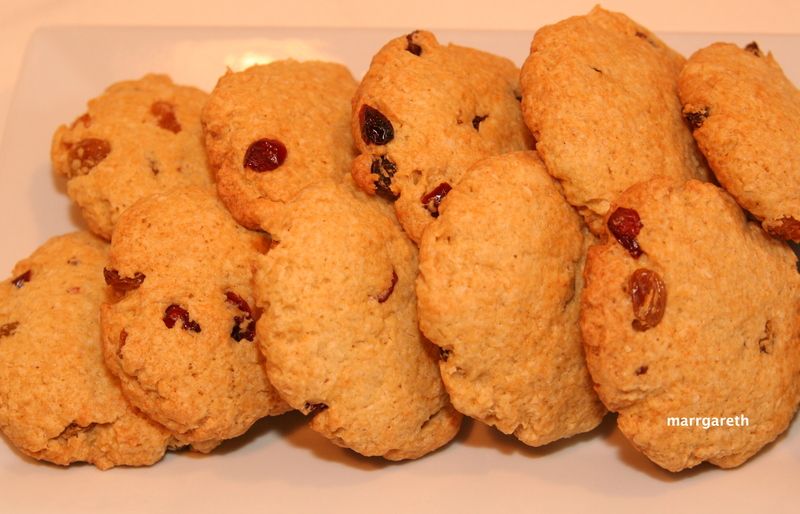 These cookies are very easy and quick to make. You have to try this recipe. 3 – 4 tbsp water or soy milk or rice milk. You will make ~ 26 cookies. Place the ingredients from position 1 to 4 in a large bowl. Mix them well. Rub in the margarine by hand. 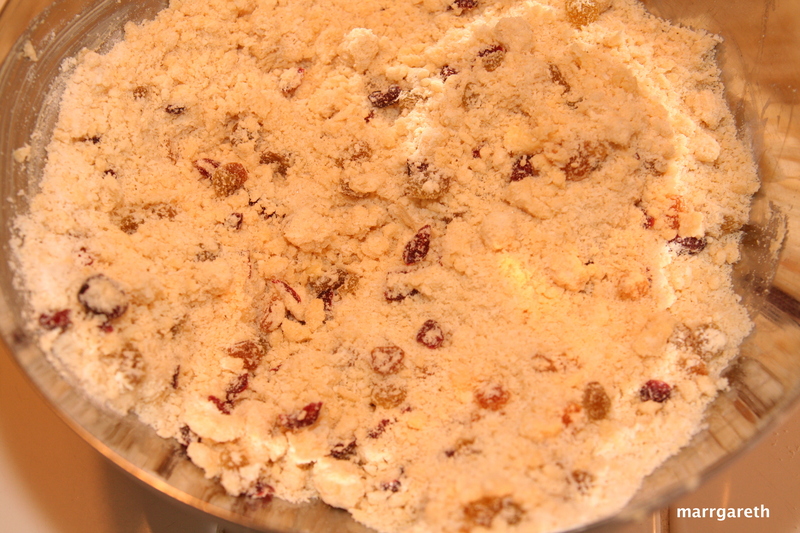 Add raisins and mix. Pour in the vanilla. Gradually pour in the soy milk or water kneading the dough. The dough should not be sticky, so it could easily form into a ball. 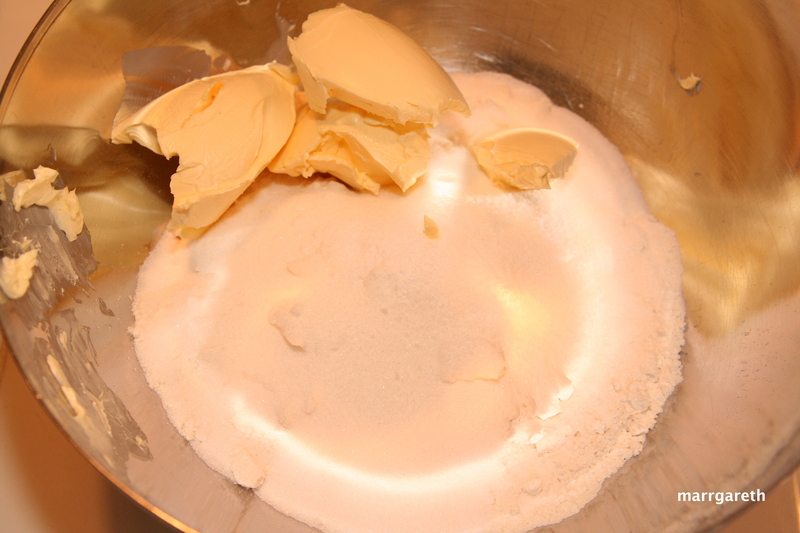 If the dough is too dry, add more soy milk or water. If the dough is too wet, add the flour. 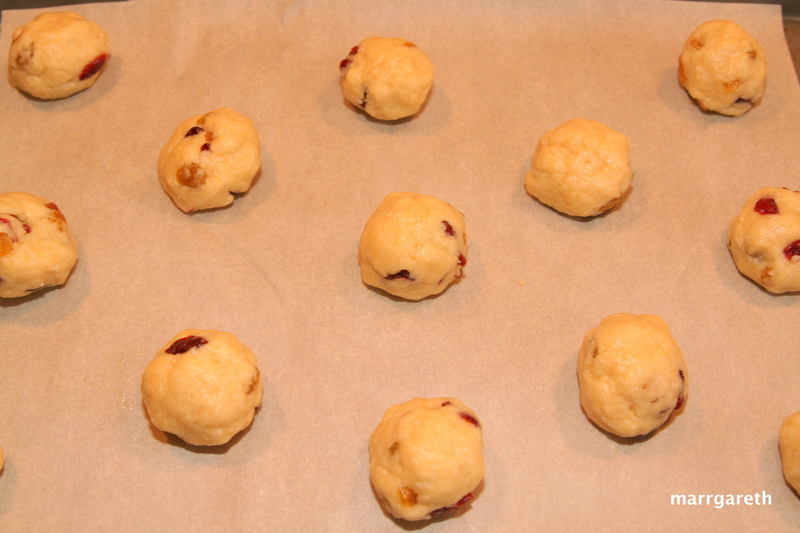 Form the dough into balls about the size of a small tangerine and arrange well apart on a baking sheet. Press the balls to flatten them to 1 cm thickness using a glass. 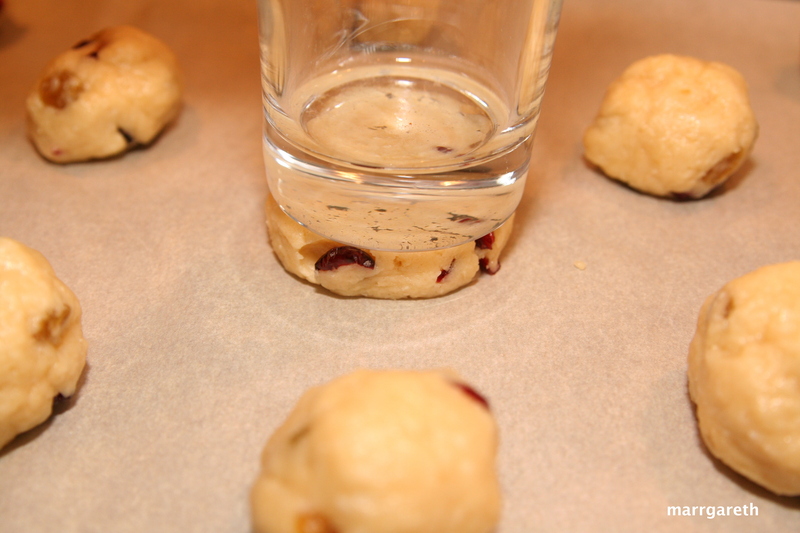 If your glass sticks to the balls, put some flour on the bottom of the glass, it should help. Bake in a preheated oven at 180 °C (350 °F) for about 15 minutes or until golden. I tried the valentine cookies. My husband loves peanut butter. He said this is a great cookie. Thank you for cheering him up with another fabulous recipe.